that comes through sustained contact with the Earth’s natural, subtle surface electric energy. connected to conductive systems that transfer the ground energy into the body. Grounding research indicates that the surface of planet Earth has potent painkilling, anti-inflammatory, antioxidant, and stress reducing properties. Nature’s design. The Earth is like a gigantic battery circling around the sun. And pulsating throughout the surface of the planet is an unseen and virtually limitless reservoir of sub-atomic particles called electrons. Constantly replenished and stimulated by the sun, lightning, and the deep-down molten core, they vibrate at different frequencies and give our landmasses and oceans a subtle negative charge. The natural planetary charge keeps the bioelectric machinery of global life humming in rhythm and balance – for everything that lives on the land or in the sea. Both animals and plants. They have a constant electric connection with the Earth. Over time, lifestyle changes have disconnected us. We rarely walk barefoot outside in order to freely receive the energy beneath our feet. We no longer sleep on the Earth. We no longer use animal hides for footwear and bedding that allow the energy to pass into our body. These practices were part of ordinary living throughout virtually all of history. For decades now we have replaced traditional leather (made from hides) with synthetic soled shoes – like common running shoes made from plastic and rubber – that insulate us from the energy when we walk or run outside. Many of us live and work high above the ground. We have lost our electrical roots, so to speak, and this disconnection may be a grossly overlooked cause of chronic human illness steeply rising worldwide. Research shows that being grounded benefits the body in many ways. The evidence suggests that we need the Earth’s electrons for our well-being. They appear to be, in fact, foundational for health, representing an indispensable kind of “nutrient” that if deficient or missing can cause health problems just like a deficient vitamin or mineral. Just as the sun above creates vitamin D in your body, Nature provides electric nutrition from the ground below to maintain natural order and healing within the bioelectrical circuitry of your body. Also, the daily rhythm of chemical and hormonal cycling in the human body is regulated and maintained by faint electromagnetic signals generated by the Earth’s electrons. The human body is exquisitely receptive to these signals that set up the rhythm of day-night functions or circadian rhythms. There’s a good analogy here with the electric systems that power our world – from whole cities down to the appliances you use in your house. These systems are stabilized by the Earth, that is, when they are grounded and connected to the Earth. So, too, our bioelectric bodies become stabilized when we are grounded and connected to the Earth. This is a vital hook-up. Our bodies work electrically. Every movement or thought is based on frequencies and electric transmissions in the body. The heart, brain, and immune system are obvious examples. One common experience that people have when grounded is a rapid and broad anti-inflammatory response. And with it, a frequent lessening of pain and discomfort. Nobody has ever regarded the planet before as an anti-inflammatory, but, amazingly, it appears to be the most powerful anti-inflammatory we have. It’s the original anti-inflammatory! The original painkiller! This effect has massive health implications because of the strong link between chronic inflammation and pain and virtually all chronic disease, including the diseases of aging, and the aging process itself. For many people, the changes are quick and dramatic, like charging a failing battery. For others, the changes are gradual and subtle. Two studies in 2014 and 2015, using sophisticated laser and thermal imaging, demonstrated how grounding, just for one hour, improves blood flow to the face. Such findings suggest enhanced nourishment of facial tissues and functions, and provides a scientific explanation for why many people over the years have told us they look younger and healthier after they start grounding. Earthing is nothing really new. It’s a revival of a timeless practice and a forgotten law of Nature: that we all belong to Nature, and part of the very connection with Nature is our connection with Mother Earth. It can be put to the test by simply sitting, standing, or walking with your bare feet on the ground outside. If you have PMS or arthritic pain or a backache or indigestion or just plain fatigue, or feel highly stressed, note your level of discomfort at the start and then again after about a half-hour. At the end you will feel better. You will suddenly realize that there is indeed something remarkable about the ground beneath your feet, something you’ve been missing all these years. Grounding impacts the body from top to bottom. Individuals often report multiple benefits. The list below is an informal collection of some of the many improved conditions reported from people around the world for nearly 20 years. Below the list you will find a summary of grounding research. Never before in history has there been an accumulation of information related to the surprising healing energy of the planet we live on. Ongoing scientific research (summarized below) is slowly revealing the dynamics of why people feel significantly better when grounded, and why the benefits are so broad. The numbers shown in brackets refer to the studies in which the evidence was found. The studies can be accessed in full on our research page. Chronic inflammation is a causative factor of pain and a causative or aggravating factor of virtually all chronic and aging-related diseases, including cardiovascular diseases, rheumatoid, autoimmune disorders, Alzheimer’s, diabetes, and cancer. 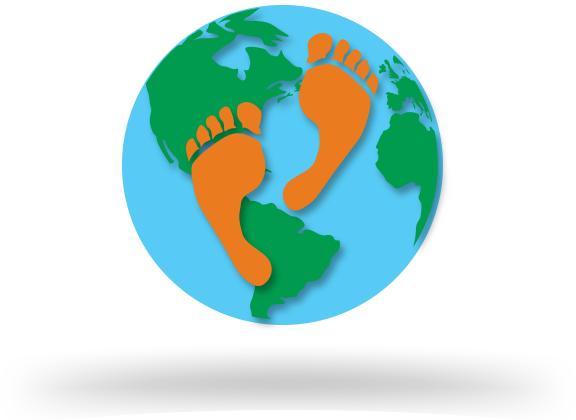 Earthing reduces or even prevents the cardinal signs of inflammation following injury: redness, heat, swelling, pain, and loss of function. Most pains, including the most severe, are due to inflammation, and typically respond rapidly to Earthing. Healing-related pains are usually lessened, often significantly, in intensity and duration. Twelve subjects slept grounded for 8 weeks. Eleven reported that they fell asleep faster. All reported waking fewer times during the night. Better sleep is one of the most common responses from people after they start Earthing. Many people have difficulty waking up in the morning. They have little energy. Studies show that sleeping grounded provides more morning energy as well as vitality throughout the day. In study # 1, 9 (out of 12) subjects reported improvement in fatigue (more refreshed/less fatigued). Better, deeper sleep is one explanation. Another is that the body likely stores electrons in conductive connective tissue. Ungrounded individuals are probably depleted to one degree or another, their store of available electrons continually being drained to neutralize free radicals (molecular fragments produced during metabolic processes) and which cause oxidative damage and disease. Ungrounded, we believe the body becomes gradually “electron deficient,” setting the stage for unwellness. With grounding, the body becomes saturated with electrons. This is how Earthing likely recharges the body’s “electric battery,” counteracts free radical activity, as well as feeds cellular energy production − requiring electrons − that fuels all the biochemical processes in the body. Melatonin is the most important of the pineal gland hormones. It promotes deep and restful sleep, supports the immune system, slows cell damage and aging, improves energy, and may even inhibit the growth of cancer cell. Cortisol is a mediator and marker of the stress response, associated with both psychological and physiological stress, inflammation, and sleep dysfunction. Chronic elevation of cortisol from stress can result in disruption of the body’s circadian rhythms, and contribute to many problems, including sleep disorders, hypertension, cardiovascular disease, decreased bone density, decreased immune response, mood disturbances, autoimmune diseases, and abnormal glucose levels. Both physical stress and psychological stress are aggravating factors for pain and diseases including psychological disorders. Consequently, any natural method for relieving stress has enormous potential to prevent or decrease the negative effects of most diseases. a normalizing influence on cortisol, the stress hormone. a calming impact on the electrical activity of the brain. a normalization of muscle tension. a rapid shift from a typically overactive sympathetic nervous system expression, associated with stress, into a parasympathetic, calming mode within the autonomic nervous system (ANS) that regulates heart and respiration rates, digestion, perspiration, urination, and even sexual arousal. within the ANS, also an improvement of heart rate variability (HRV) − the miniscule variations in the heart’s beat-to-beat interval − that serves as an accurate reflector of stress. Poor HRV is associated with stress-related disorders, cardiovascular disease, diabetes, mental health issues, and reduced lifespan. Grounding improves HRV to a degree far beyond mere relaxation. Grounding appears to improve the health of premature infants, according to a 2017 experiment published in the journal Neonatology by researchers at Pennsylvania State University Children’s Hospital in Hershey. They reported immediate and significant improvements in autonomic nervous system function (see # 7 above). Specifically, grounding the babies, clinically stable and from five to sixty days of age, strongly increased measurements of heart rate variability that indicated improved vagus nerve function. The vagus is the main nerve of the parasympathetic nervous system and its branches supply and regulate key organs, including the lungs, heart, and intestines, as well as exerting a powerful influence on inflammatory and stress responses. This was the first Earthing study conducted with babies. For more information, click here. Among 8 female subjects grounded for six weeks, 7 reported improved mood. In another study, 40 participants were randomly divided and either grounded or sham-grounded for 2 hours. Improved mood, according to a questionnaire, was found only for the grounded participants. At a women’s wellness conference in 2012, 82 out of the 100 attendees said their mood had improved – by an average of 40% − after grounding during a one-hour lecture. Higher blood viscosity (that is, thicker, sludgy blood) often correlates with diabetes and cardiovascular disorders. Two studies were performed to determine the effects of Earthing on blood viscosity. The first involved subjects relaxing for 2 hours with blood viscosity measured using a zeta potential measurement (the greater the zeta potential level, the more spaced the red blood cell are and the lower the blood viscosity). The second study used a commercial blood viscometer to measure viscosity of individuals practicing yoga on a grounded yoga mat. Both studies found that Earthing significantly reduces blood viscosity, thus potentially improving red blood cell spacing (thinning them out). More research is needed, but Earthing appears to be a potent circulation booster, and thus may represent a simple, yet profound preventive and therapeutic strategy against diabetes and cardiovascular disease. Facial blood flow regulation clearly improves among grounded − but not sham-grounded – subjects, and even within one hour, as determined in a study utilizing laser imaging technology. An infrared (thermographic) imaging camera study for the same duration also documented improved circulation of fluids (including blood and lymph) and a decrease in intestinal distension (bloating) throughout the abdomen and torso, which in turn translates into enhanced circulation throughout the body, extremities, and head and face. The results of these innovative studies demonstrate that even one-hour contact with the Earth appears to significantly promote blood regulation and circulation, and provides supportive evidence of grounding’s effect on blood viscosity (#10). Added together, these are significant systemic findings, affecting overall and local health, such as healthier facial skin. Patients with noninsulin-dependent diabetes mellitus were grounded continuously for over 72 hours resulting in a decreased fasting glucose level. This profoundly important outcome suggests that disconnection with the Earth negatively affects glucose regulation and that grounding may be an overlooked factor in diabetes prevention and treatment. Non-medicated subjects were grounded for one night. Blood analyses afterward showed a reduction in blood and urinary calcium and phosphorus, and a reduction in renal excretion of both elements. These findings directly relate to bone density and osteoporosis. Earthing for even only one night may reduce primary indicators of osteoporosis. Your body is a collection of dynamic electric circuits in which trillions of cells constantly transmit and receive energy as they carry out their programmed biochemical reactions. All this activity is regulated by electric fields. From an electric standpoint, both the human body and the Earth’s surface are conductors. When two conductors come in contact their respective electric potential (level) equalizes. This is accomplished by sharing electrons. The Earth’s surface, being the most negatively charged of the two conductors, gives electrons to the body. Thus, when grounded, a primordial and naturally stabilized electric reference point for all body biological circuits is created. This stabilization is similar to grounding any electronic circuit in order for the circuit to function properly. Metabolic syndrome refers to the presence of several risk factors − excess abdominal obesity, high triglycerides, blood pressure, and glucose, and low high-density lipoprotein − known to increase the risk of cardiovascular disease and diabetes. These risks factors are often present when a person’s metabolic rate decreases substantially and the person starts to gain weight. A study was performed with 28 subjects who were both grounded and sham-grounded in separate 40-minute sessions. Only when they were grounded did the subjects show more efficient processing of energy (a higher basal metabolic rate). In addition, a laboratory study with rats offers support for the findings. Sixty (60) rats were randomly divided into two groups; one group was grounded, the other not grounded. Grounding resulted in a beneficial effect on metabolic syndrome indicators and body weight (lower) after 20 months. Blood samples were drawn from 6 male and 6 female adults with no history of thyroid disease. A single night of Earthing produced a significant decrease in tri-iodothyronine (T3) and an increase in free thyroxin (T4) and thyroid-stimulating hormone. The meaning of these results is unclear, other than that grounding affects thyroid metabolism. Over the years we have had feedback from many individuals who were able to reduce their medication for hypothyroidism after starting Earthing. Delayed onset muscle soreness (DOMS) is what you experience when you overdo it with exercise. Your overtaxed muscles hurt! You are in pain for a few days. In an experiment, 8 healthy young men performed weighted toe raises to create significant muscle soreness (DOMS) in both calves. Each participant was exercised individually on a Monday morning and then monitored for the rest of the week while following a similar eating, sleeping, and living schedule. The group was randomly divided − half being grounded and the other half sham-grounded. Comprehensive testing and measurements revealed reduced muscle damage and accelerated recovery from DOMS among the grounded men compared to the non-grounded men. These results were confirmed in a second DOMS study, which also showed a marked decrease in creatine kinase, a biochemical indicator of muscle damage. In yet another confirming study, researchers found that grounding during cycling exercise significantly reduces the level of blood urea, an indicator of muscle and protein breakdown. The findings represent a major recovery benefit for training athletes. An 84-year-old diabetic woman with an 8-month-old unhealed and painful open wound on the left ankle had undergone various treatments at a specialized wound center with no results. After 2 weeks of grounding daily for a half-hour with an Earthing electrode patch, the wound was healed over and the patient reported being completely pain free. Dramatic examples were reported by Chiropractor Jeff Spencer, who was assigned to promote recovery from exertion and injury among American cyclists during several Tour de France competitions. It is well known that at this extreme level of grueling competition, cyclists tend to experience slow wound healing after injury, threatening their ability to continue competing. Dr. Spencer found just the opposite with Earthing, and observed very rapid healing, along with only minimal classical signs of inflammation: heat, redness, swelling, pain, loss of function. Faster-than-normal wound and surgical healing has been frequently reported over the years. Accelerated wound healing, whether involving injury, surgery, or burn, may result from a combination of reduced inflammation as well as improved circulation carrying healing factors to the site. Significant changes in immune function responses and markers were documented among grounded – and not among non-grounded − subjects in two studies of Earthing on delayed onset muscle soreness (DOMS). Grounded subjects had less pain, little inflammation, and a shorter recovery time. Another study assessed the effect of grounding on the classic immune response following vaccination. Earthing accelerated the immune response, as demonstrated by increases in gamma globulin concentration. These results indicate an association between Earthing and the immune response. As we have noted, the body operates electrically. Example: Nerve impulses stimulate muscle fibers to contract. A study using specialized instrumentation (electromyography, EMG) was set up to measure electrical voltage generated by muscle cells in grounded and non-grounded subjects. Muscle tone refers to the state of tension, that is, the degree of constant steady contraction of a given muscle. Tense muscle cells generate high voltage, while those with low tension generates abnormally low levels of voltage. In our study, grounding increased the tension of muscles with low tone and decreased the tension of tensed muscles allowing for more orderly and efficient function. Women have frequently reported improved menstrual and menopausal discomfort. In one study, 5 out of 6 female subjects with PMS or hot flashes described a decrease in symptoms within 6 weeks or less. When the body and the Earth’s surface come in contact, their potential equalizes. Since the Earth’s surface is the most negatively charged of the 2 conductors, electrons are transferred from the Earth’s surface to the body. Maintaining the contact between the 2 conductors results in a constant exchange of low frequency electromagnetic fields and electrons that prevent external electromagnetic field to penetrate the body (this is especially true for external low frequency electromagnetic fields, i.e. less than 100,000 Hz) thus maintaining the internal electrical condition of the body into a homeostatic electrical state stabilizing our body’s internal electrical environment. This is the Faraday cage effect. The dominant theory of aging emphasizes cumulative damage caused by oxidative stress from free radicals produced during normal metabolism or in response to pollution, poor diet, stress, or injury. We hypothesize an anti-aging effect of grounding based on electron storage enhancement that readily and abundantly delivers anti-oxidant electrons to sites where tissue integrity might be damaged by free radicals. By scientific standards, Earthing research is in an early stage, but clearly represents a new and exciting frontier of exploration. The research, in fact, indicates that reconnecting to the Earth may be a missing link in the health equation along with good food and water, sunshine, physical activity, and minimizing stress. Ghaly and D. Teplitz, “The biologic effects of grounding the human body during sleep as measured by cortisol levels and subjective reporting of sleep, pain, and stress,” Journal of Alternative and Complementary Medicine, vol. 10, no. 5, pp. 767–776, 2004. Chevalier, K. Mori, and J. L. Oschman, “The effect of Earthing (grounding) on human physiology, Part II: Electrodermal measurements” Subtle Energies & Energy Medicine, vol. 18, no. 3, pp. 11–34, 2007. Brown, G. Chevalier, and M. Hill, “Pilot study on the effect of grounding on delayed-onset muscle soreness,” Journal of Alternative and Complementary Medicine, vol. 16, no. 3, pp. 265–273, 2010. L. Oschman, G. Chevalier and R. Brown. “The effects of grounding (earthing) on inflammation, the immune response, wound healing, and prevention and treatment of chronic inflammatory and immune diseases,” Journal of Inflammation research, vol. 8, pp. 83–96, 2015. L. Oschman, G. Chevalier and A.C. Ober. “Biophysics of Earthing (Grounding) the Human Body” In: Bioelectromangetic and subtle energy medicine, 2nd Edition, P.J. Rosch Ed.,CRC Press, New York, pp. 427-450, 2015. 1. Ghaly and D. Teplitz, “The biologic effects of grounding the human body during sleep as measured by cortisol levels and subjective reporting of sleep, pain, and stress,” Journal of Alternative and Complementary Medicine, vol. 10, no. 5, pp. 767–776, 2004. 17. Chevalier, G. Melvin, T. Barsotti. “One-hour contact with the Earth’s surface (grounding) improves inflammation and blood flow – A randomized, double-blind, pilot study,” Health, vol. 7, pp. 1022-1059, 2015. 19. L. Oschman, G. Chevalier and A.C. Ober. “Biophysics of Earthing (Grounding) the Human Body” In: Bioelectromangetic and subtle energy medicine, 2nd Edition, P.J. Rosch Ed.,CRC Press, New York, pp. 427-450, 2015. 3. Chevalier, K. Mori, and J. L. Oschman, “The effect of Earthing (grounding) on human physiology, Part I” European Biology and Bioelectromagnetics, vol. 2, no. 1, pp. 600–621, 2006. 6. Chevalier, “Changes in pulse rate, respiratory rate, blood oxygenation, perfusion index, skin conductance, and their variability induced during and after grounding human subjects for 40 minutes,” Journal of Alternative and Complementary Medicine, vol. 16, no. 1, pp. 1–7, 2010. 9. Chevalier and S. Sinatra, “Emotional stress, heart rate variability, grounding, and improved autonomic tone: clinical applications,” Integrative Medicine: A Clinician’s Journal, vol. 10, no. 3, 2011. 16. Chevalier. “The effect of grounding the human body on mood,” Psychological Reports, vol. 116, no. 2, pp. 534–542, 2015. 11. Chevalier S. T. Sinatra, J.L. Oschman, and R.M. Delany. “Earthing (grounding) the human body reduces blood viscosity – A major factor in cardiovascular disease,” Journal of Alternative and Complementary Medicine, vol. 19, no. 2, pp. 102–110, 2013. 13. “Grounding the human body improves facial blood flow regulation: results of a randomized, placebo controlled pilot study,” Journal of Cosmetics, Dermatological Sciences and Applications, vol. 4, no. 6, pp. 293–308, 2014. 10. Sokal and P. Sokal, “Earthing the human body influences bioelectrical processes,” Journal of Alternative and Complementary Medicine, vol. 18, no. 3, pp. 301–229, 234, 2012. 5. Semple. Earthing effects in female Lewis rats. 2008. (Unpublished study see EarthingInstitute.net/ Research). 7. Brown, G. Chevalier, and M. Hill, “Pilot study on the effect of grounding on delayed-onset muscle soreness,” Journal of Alternative and Complementary Medicine, vol. 16, no. 3, pp. 265–273, 2010. 14. L. Oschman, G. Chevalier and R. Brown. “The effects of grounding (earthing) on inflammation, the immune response, wound healing, and prevention and treatment of chronic inflammatory and immune diseases,” Journal of Inflammation research, vol. 8, pp. 83–96, 2015. 18. Brown, G. Chevalier, and M. Hill, “Grounding after moderate eccentric contractions reduces muscle damage” Open Access Journal of Sports Medicine, vol. 5, no. 6, pp. 305–317, 2015.